Every traditional above ground pool needs a cove to protect the liner from the base framework of the pool as well as help prevent excessive stretching of the pool liner. These pre-formed pool cove kits make for a uniform and professional finish to your above ground pool project. 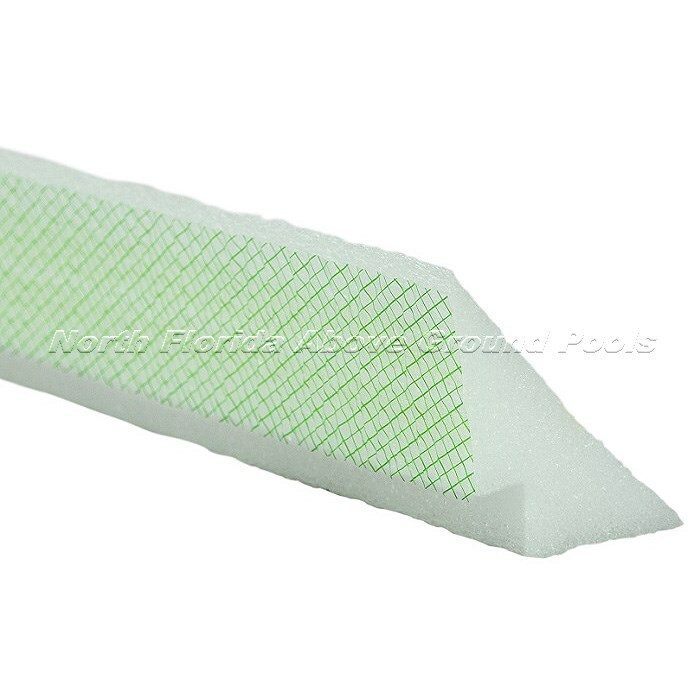 These preformed flexible wedge shaped foam pieces measure 4″H x 3″W x 48″L and made from chemically neutral closed cell Ethafoam. They’re placed around the entire inside perimeter of the pool at the base of the wall, and held in place by a tacky adhesive backing. The adhesive is covered by a clear, releasable film that is peeled away when the cove is being installed. 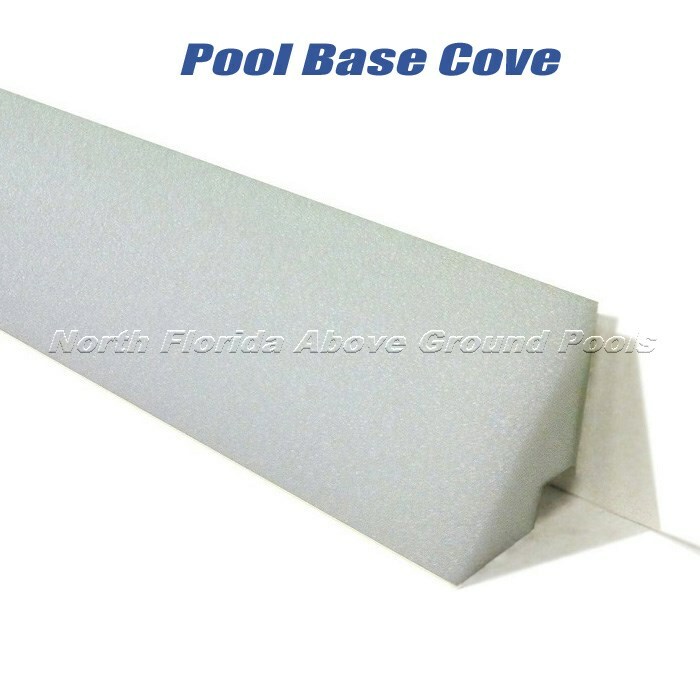 The adhesive backing attaches the cove section to the pool wall and holds it firmly in place.